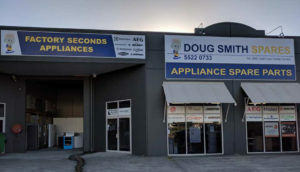 We Offer same day delivery includes Burleigh heads, Coolongatta, Surfers Paradise, Southport, Labrador, Nerang, Beenleigh, Ipswich, Brisbane, Toowoomba. Northern rivers Mullumbimby, Murwillumbah, Tweed heads, Byron Bay, Lismore, Ballina, Grafton. # Same day delivery available to south east Queensland including, Gold Coast, Burlegih heads, coolongatta, Tambourine, Coomera, Gold Coast hinterland, Surfers Paradise, Southport, Labrador, Nerang, Coomera, beenleigh, Toowoomba, Dalby, Warwick, Brisbane, Ipswich, Bundamba, Caboolture, Bribie Island, sunshine coast, Caloundra, Buderim, Mooloolabah, Maroochydore, Alexandra headland, Noosa, coolum, nambour, gympie. Also NSW northern rivers including Mullumbimby, Murwillumbah, Kingscliff, tweed heads, Byron Bay, Lismore, Alstonville, Kyogle, Brunswick Heads, Ballina, Ocean shores, Grafton, and Yamba. conditions apply.